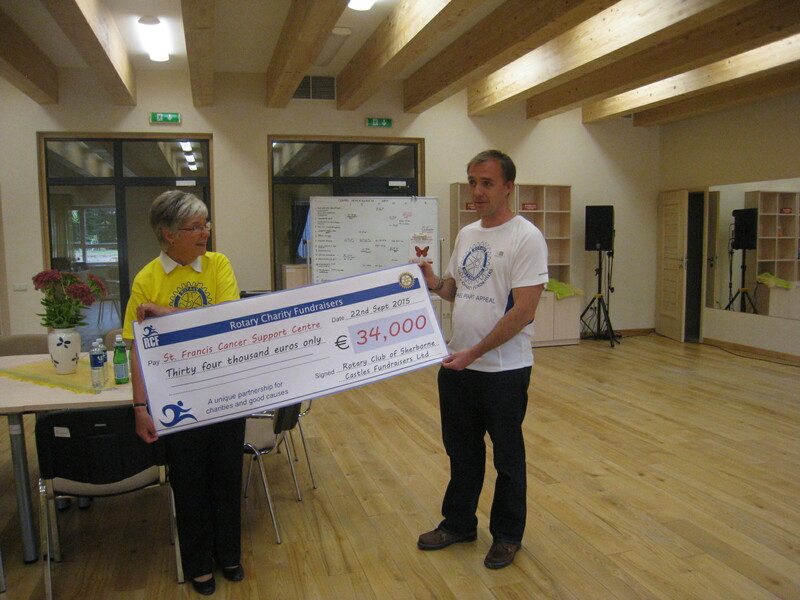 On 28 September Helena Peart and her son Christopher arrived in Klaipeda form the UK in order to present a cheque for 34,000 Euros to the St Francis oncology Centre. Michael Peart had been the first British Ambassador to the newly reindependent Lithuania from 1991 to 1994, a patron of the St Francis Cancer Support Centre and the President of Sherborne Castles Rotary Club from 2009 to 2010. During the presentation Aldona Kerpyte, the Director of the Centre, presented certificates of appreciation to Sherborne Castles Rotary and to Helena and Christopher Peart. The money will be used to create a Memorial Garden in the central courtyard of the St Francis oncology Centre to commemorate the life and work of Michael Peart.